With Hump Week passed in the current Pennant season, the race to the finals is well and truly on. In Midweek Section our teams are in exceptional form, mostly with high positions in their ladders. Weekend Section also has teams who are currently in the running to reach the finals. There is still a long way to go, but February and March finals could be an exciting time for YMGCR. Let’s hope so! Big day on this Sunday, 16th December, when both Championship Finals will be contested. 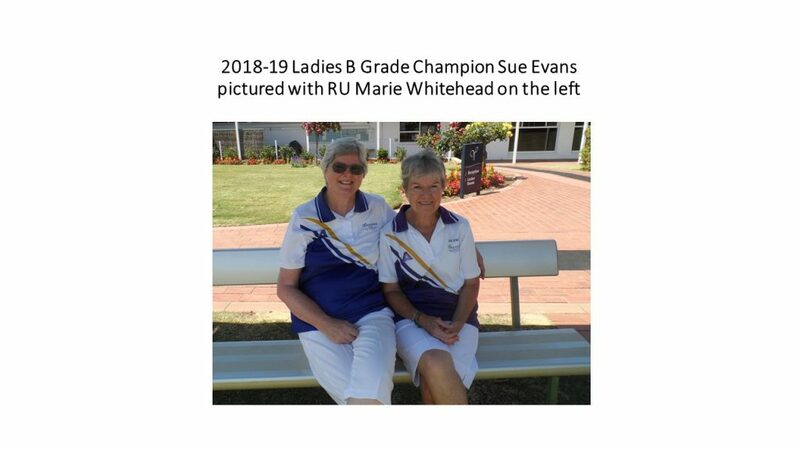 The Men’s final between Gary Sanders and Ray Irvine, and the Ladies between Laureen Smith and Robyn Moore are bound to be high standard matches, and worth while watching for everyone. Starting time is 10.00am.